Ever since I found out that Whistler hosts a annual Cheese rolling event, I been wanting to go. Since I missed out last year, I made sure to mark it down on my calender for this year(Aug. 14th, oops I forgot to post until now). 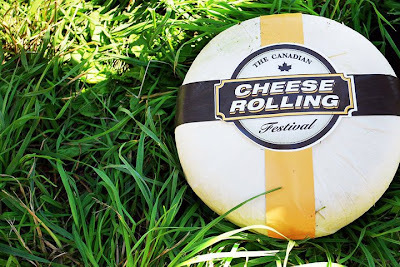 Cheese rolling has been around for ages, it is also an annual event in the UK. 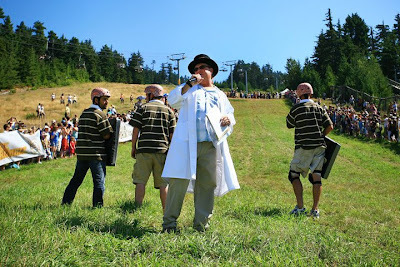 If I am not wrong, I believe this is the 3rd year the event has been held up at Whistler. This time, I didn't have to be the photographer, because I had my very own pro with me, so please enjoy these pictures brought to you by MK photography. The truth is I forgot to bring a memory card (silly me ><), but maybe it's a good thing, because now you can enjoy better pictures ;). Apparently there was more than one event up at Whistler that weekend, there was also a bike related event. Anyways the Cheese Festival was actually held up in the mountains, so here is the view of Whistler Village while taking the free gondola up to the event site. There was a market place, where you can sample all sorts of cheese, and also have the opportunity to purchase them if you like. I must have tried over 20 different kinds. There was also some game booth and a cheese seminar as well. After sample so many different kind, here is my favorite: Raspberry Fromage Frais from Little Qualicum Cheeseworks. It was like cheesecake in a tub, creamy and flavorful. Formage Frais has the same consistency as cream cheese, but it has few calories and less cholesterol. Unfortunately this is not available in all supermarkets, they told me it's only available at places such as Wholefood, Capers, Nesters and Thrifty. Or if you are headed towards Vancouver island, I guess you can buy it fresh from them, as they are located in Parksville BC. Registration for the Cheese Rolling event is held on site, and only on site. It's free to register and open to anyone who is over 19. When you sign up, they give you a free T-shirt and a cap. I really wanted one of the caps, it looks so cute. Although they give you a T-shirt, but they didn't say you have to wear it. Some people really 'dressed up' or should I say 'dressed down' for the event LOL. This would be what everyone is after: a 11lb Cracked Pepper Verdelait cheese made by Natural Pastures. The winner also get to keep this block of cheese as prize along with 2 season ski passes. The big hill where the event will take place. There are several blockers at the end to stop anyone who is literally rolling down the hills (and trust me there were lots of those). The MC reminds me of the party master in Mario party :). And let the games begin.... there were lots of rolling and tripping, only a few manage to get downhill without falling. 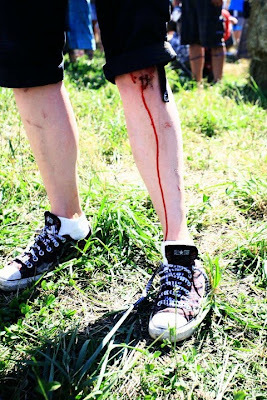 I was so tempted to join, but one look at the after math, and I am having 2nd thought. This event had its fair share of injuries (some serious too), but I guess if you are not really competitive, then it should be all fun and games and injuries could be avoided. 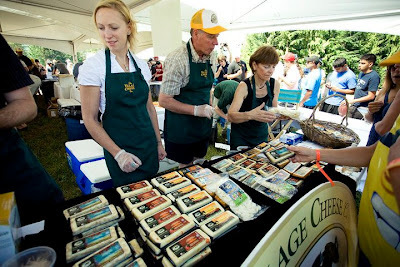 There are 6 major categories for cheese in Canada: Fresh (ex. cream cheese), Soft (ex. Brie), Semi-soft (ex. Mozzarella), Firm (ex. Cheddar), Hard (ex. Parmesan), Light (at least 25% less milk fat than their counterparts). Anyways, this event was definitely successful, as it drew a big crowd that day. 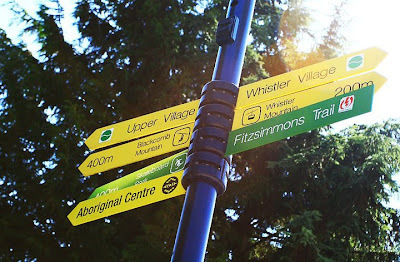 Also along side the cheese rolling, there were tons of other things to check out in Whistler Village. 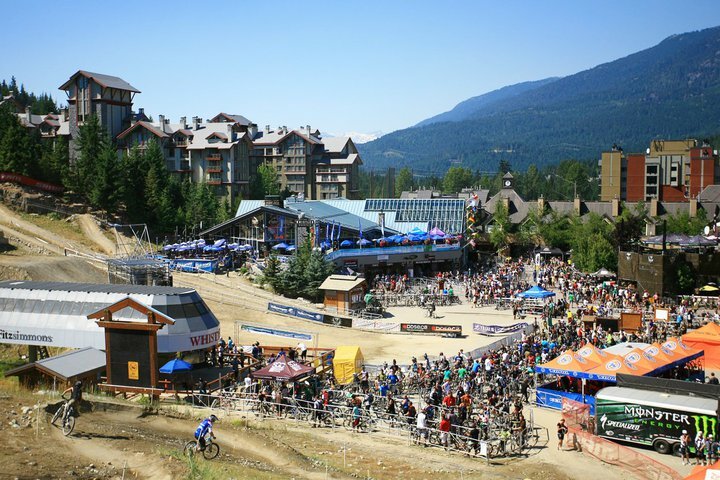 It makes a great day trip up at Whistler, the only thing is parking, it's expensive and can by hard to find if you arrive late. I would recommend this event to any cheese lover out there.